What? Another milk tea/bubble tea/boba tea shop?! 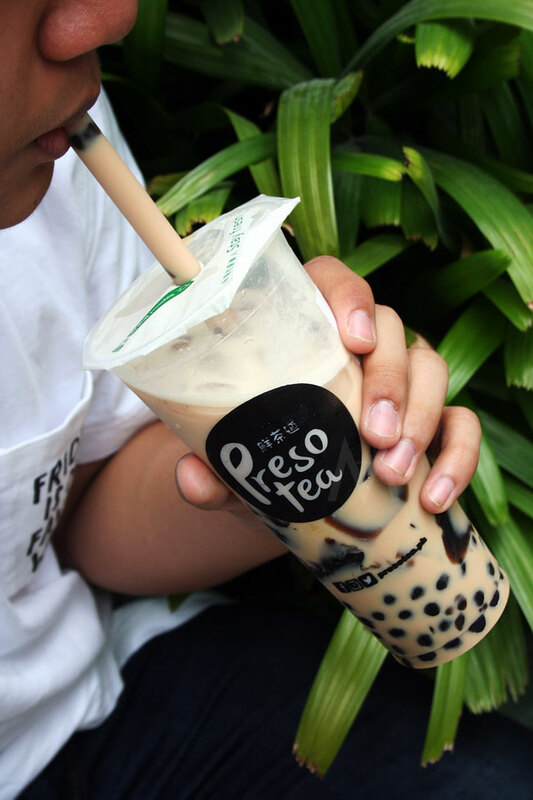 I don't keep tabs of all these milk tea shops that's been popping around like crazy all over the Metro, so I don't exactly know how many there are. I have my favorites, though. And I've recently added Presotea to that very short list. Full disclosure: I'm a Presotea virgin. I'm viewing this whole brand from a fresh perspective. If you prefer to scroll through the photos quickly rather than read every text here, I'm gonna give you my verdict now: they have truly good drinks. 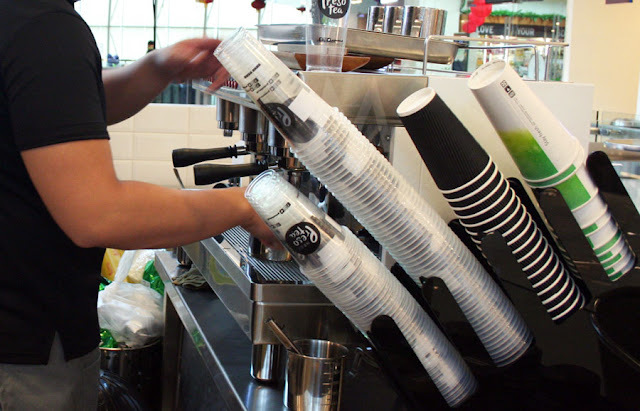 Presotea understands that quality matters. 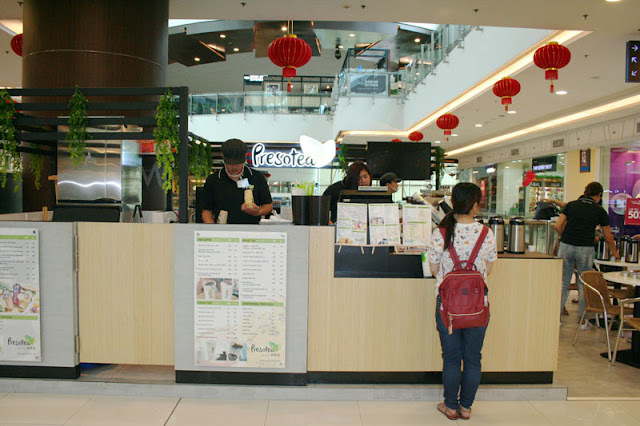 Or as my son puts it: "Finally, a milk tea shop that actually focuses on tea." If you think about it, that should be the bare minimum for all these tea shops. But that's not the reality, is it? That's why a brand like Presotea is, well, refreshing. Pun intended. 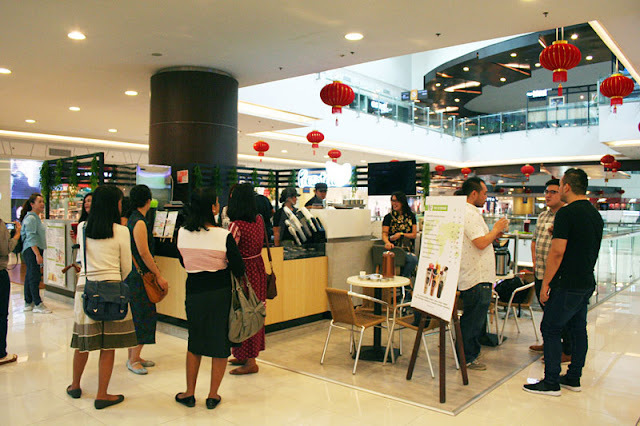 The Robinson's Magnolia branch is located on the second floor. The other branch is at SM Cherry Shaw. The first one is more convenient for us. I hope that they will open a branch in Greenhills soon. Presotea has an extensive list of tea variants—from fruit teas to our drink of choice, milk teas. If you're new to this brand like I am, it's fairly safe to start with Presotea's popular drinks. 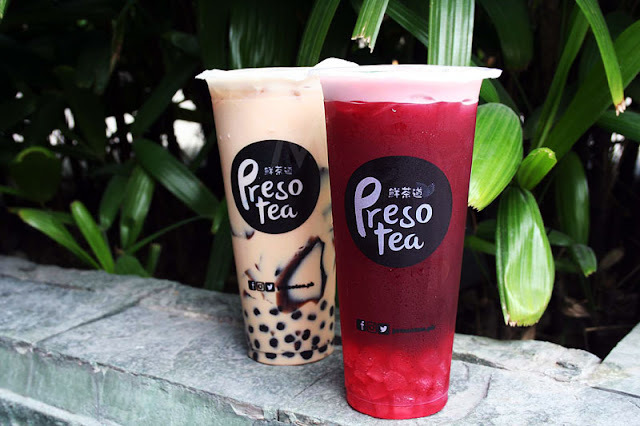 I found out the reason why Presotea's obsessed—best word to use in this case—about creating freshly made, best-in-class tea drinks. This is because the mother company is actually one of the biggest tea manufacturers in Taiwan. 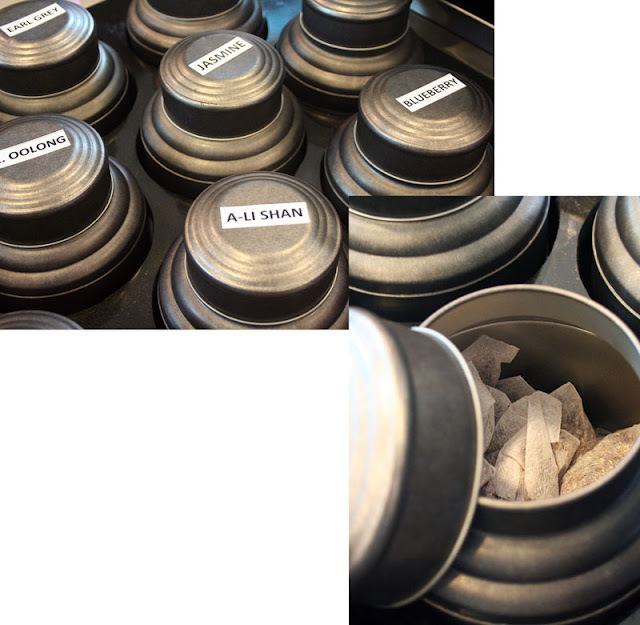 They're against letting the tea steep for too long; and they're especially against creating an entire batch to be used for the entire operating hours. Everything at Presotea is brewed-to-order. They have a whole range of teas located on the side of the kiosk. 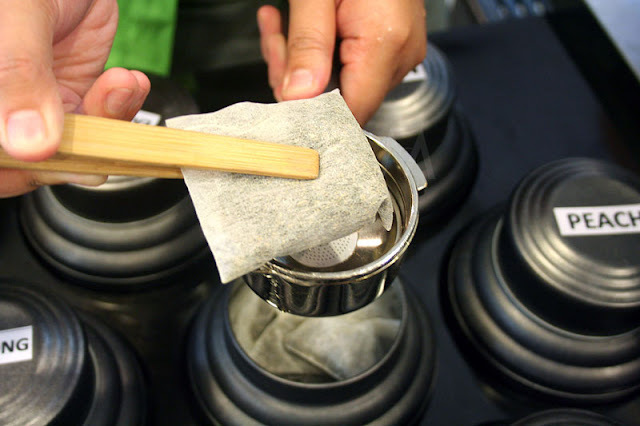 Once you've placed your order, they will show you the tea bag before it's placed inside the portafilter. They will then pull shots on the machine to extract a concentrated form, bringing out the tea's intense flavor. The result? Two large cups of delicious drinks! 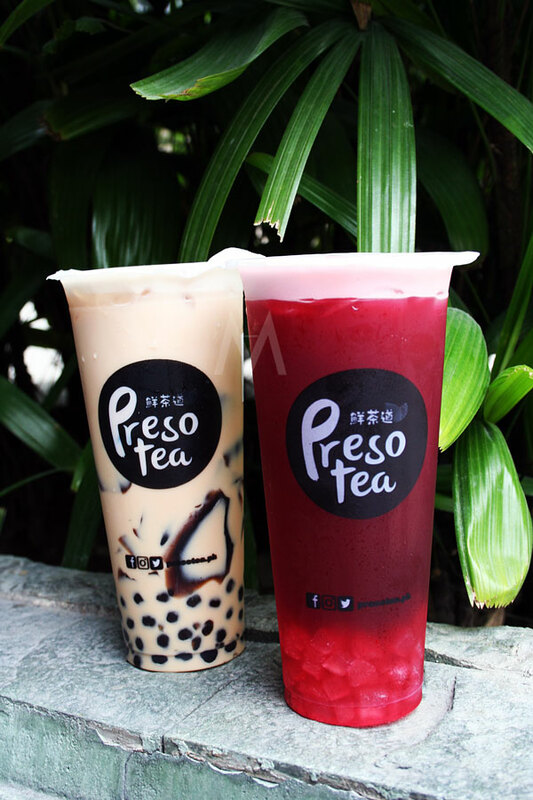 We've tried two among Presotea's bevy of choices: PPJ (Pearl, Pudding, Jelly) and Blueberry Aloe. Once you've given it a few stirs, PPJ releases an authentically-flavored goodness. Really delicious! Same with the blueberry drink. It had a pleasantly mild, fruity flavor. Now, I know that what I'm about to say is usually the ending in most posts (I'm guilty of this too), but I'm excited to try the other flavors! 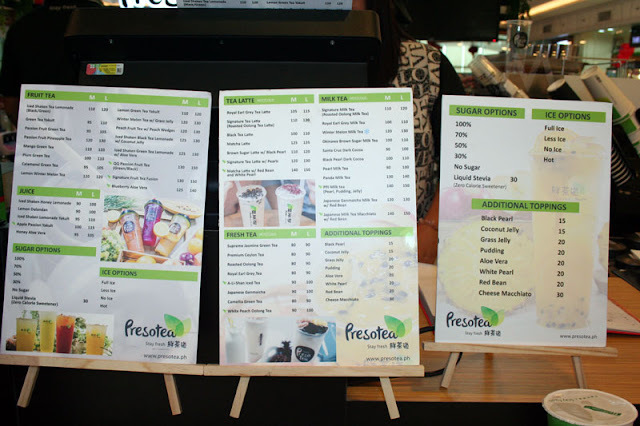 I just hope that Presotea will consistently provide the kind of quality that we experienced during our visit.